Some NBA players get no respect. When you read about the Sacramento Kings' summer of change, the focus is on the incoming rookie class and the three veteran additions. When you talk about the shooting guard position, the conversation instantly shifts to Buddy Hield vs. Bogdan Bogdanovic. But when the season starts, Garrett Temple will be a veteran leader and likely the starter at the two. Temple is used to living his NBA life in relative anonymity. He bounced in and out of the league throughout the early stages of his career and has finally found stability at the ripe age of 31. When he signed a three-year, $24 million deal with Sacramento last summer, he more than doubled his career earnings in his first season on the job. His numbers don't jump off the page, but his impact on the game goes far beyond points, rebounds and assists. Temple is the Kings' best perimeter defender and it's not even a close contest. Temple has an ability to disrupt the opposing team's offensive flow with deflections. He can guard the point and both wing positions, which will take pressure off the younger players. On the offensive end, Temple rarely makes a mistake, averaging just 0.9 turnovers per game for his career. He can act as a second ball handler and he shot a reliable 37.3 percent from behind the arc last season. With plenty of scoring options around him, Temple doesn't demand shots. He is a glue guy who finds a role and fits in with any lineup. Behind the scenes, Temple established himself as an authentic voice of experience. Vince Carter will carry a lot of weight in the locker room as a former superstar turned aging mentor. Zach Randolph commands respect with his 16 years of grinding through the NBA, and George Hill will take on tutoring the rookie point guards. But at the end of last season, Sacramento's locker room was all Temple's. He was voted the Kings' teammate of the year and he has built strong bonds with the young core. He's already spent time this summer with the incoming rookie crop, which only solidifies his spot as a team leader. Dave Joerger will ask Temple to play both wing positions, but his natural spot on the floor is at the two. Buddy Hield finished the season manning the position, with Temple sliding to the three, but the Kings have more options coming into the 2017-18 campaign. Bogdanovic adds an interesting wrinkle to the competition. The Serbian sharpshooter is very popular with the Kings front office. At 25, he comes into the league with an advanced offensive game and ready to play. 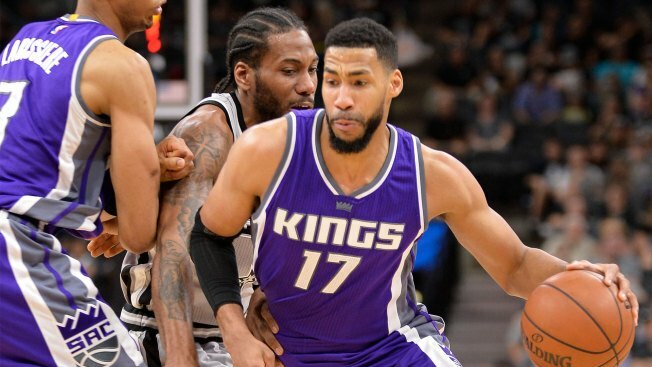 The Kings are trying to build a winning culture and the competition for playing time will be fierce at almost every spot on the floor. At some point during the season, either Hield or Bogdanovic might force Joerger's hand. It's also possible that Joerger will need Temple to shift over and steal minutes at the three. Regardless of position, expect Temple to play substantial minutes this season. You can also guarantee that he will be one of the strongest voices in a locker room filled with inexperienced players.